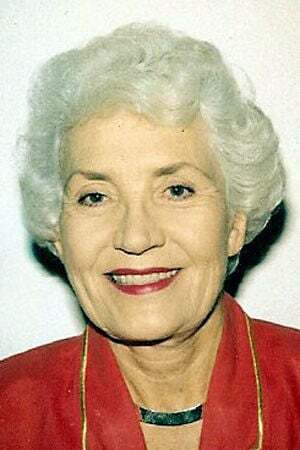 Myra Jane Rodgers Shepard, Bloomington, and Fort Lauderdale, Fla., passed away Tuesday night, around the time the thunderstorm rolled in, (Feb. 5, 2019) at the Martin Health Center, Bloomington. She was born Oct. 16, 1921, at Brokaw Hospital, Normal, to Harry Hosler Rodgers and Ruth Jane Smith Rodgers. She married Trent Allen Shepard, Dec. 5, 1948, at First M.E. Church (now Wesley United Methodist Church), Bloomington. He preceded her in death on Nov. 1, 1985. She graduated from Bloomington High School in 1938, and graduated with an AB in economics from Illinois Wesleyan University,1942. She was a Phi Kappa Phi honorary member and Kappa Kappa Gamma fraternity member. She worked part-time at her father's family's business, Rodgers Shoe Co., in downtown Bloomington. She served in the United States Navy WAVES, 1943 to 1946, attaining rank of lieutenant JG WC, communications officer in chief of Naval Operations Office in Washington, D.C.; encoding and decoding top secret, secret and confidential messages. She received her private pilot's license after the war with her GI benefits. Myra is survived by her children, Trent Allen Shepard Jr., Urbana; Karen (Jim) Jane McNatt, Atlanta, Ga.; Gregory (Heather) Mark Shepard, Bloomington; Tracy (Susan Baller) Morgan Shepard, Bloomington; and nine grandchildren. She was a member of Wesley United Methodist Church, Bloomington; board of trustees, Wesley United Methodist Church; officer Brokaw Service League; YWCA board member; Girl Scout advisory board; Red Cross Blood Mobile; Daughters of the American Revolution as a descendant of John Cory; McLean County Historical Society; McLean County Art Association; Presidents Club Illinois Wesleyan University Alumni Association; Kappa Kappa Gamma Alumni board; and Bloomington Country Club. Entombment will be at Park Hill Mausoleum, Bloomington. There will be a celebration of life at Wesley United Methodist Church, Bloomington, at a later date to be announced. In lieu of flowers, donations can be made in Myra's memory to Wesley United Methodist Church, Bloomington. Calvert & Metzler Memorial Home, Bloomington, is in charge of arrangements.